The IC can also be used to deliver “advanced device pairing, personalization of electronic devices, and device maintenance”. 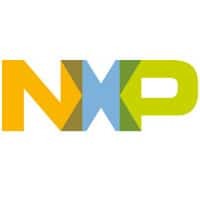 Eindhoven, Netherlands and San Jose, California, August 28, 2014 — NXP Semiconductors N.V. (NASDAQ: NXPI) today announced a complete passive solution for near field communication (NFC) interaction for a wide variety of applications such as home appliances, consumer electronics, wearable technology and home automation. By combining a contactless NFC interface with a contact I²C interface and onboard non-volatile memory, the NTAG I²C solution enables new kinds of NFC tag interactions, including advanced device pairing, personalization of electronic devices, and device maintenance. While existing NTAG solutions can only interact with NFC-enabled devices, the new NTAG I²C memory can be accessed via the existing embedded microcontroller of any electronic device. Optimized for very low-power operation, the passive NTAG I²C solution is capable of energy harvesting from the mobile device to power external circuitry such as low power microcontrollers. It also includes a field-detect function for automatic power-up, so that the mobile device’s battery is not drained during standby while waiting for a NFC phone. As the first fully ISO 14443A/NFC Forum Compliant Type 2 Tag chip with I²C interface and energy harvesting with on board EEPROM, the NTAG I²C solution ensures compatibility with all NFC-enabled devices and allows data to be saved even if the power supply is lost. These features combined make the NTAG I²C particularly well suited for the configuration, calibration or customization of wearable devices. The new NTAG I²C features a specific pass-through mode, which allows the device to serve as an easy to integrate communication pipe for unlimited bi-directional data exchange between the feature-rich NFC device, which may have a connection to the cloud and an advanced user-interface/display, and the electronic devices. The new device is also fully supported by the recently released MIFARE SDK (Software Development Kit). Designed to provide access to all hardware features on Java level, the MIFARE SDK streamlines the development of Android apps to interact with NTAG devices. The SDK allows Android app developers to concentrate efforts on designing creative apps for a wide range of new applications that support the Internet of Things (IoT) and wearable technology. Apple iWatch to support NFC payments?